Sooooooo. There are two things in the above photo - a dog, and Kibbles. 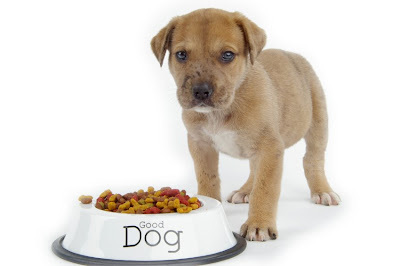 Here's the question: Are both considered dog food??? I have something to get out of my system before moving on. Duncan Riley, who you might know as one of the (now former - he resigned) writers for TechCrunch, but whose impressive resume goes way beyond writing for the fourth (?) largest blog on the Web, posted the following DISGUSTING slide show yesterday to The Inquisitr, his newest (and really cool, I might add) project. The site covers tech, pop culture, and a bunch of other stuff. Riley titled his post "So You Think You're An Adventurous Foodie?" But I'd be more likely to call this post "How to Become a Vegetarian in 20 Pictures" or "If You Were Stranded on an Island, or China, Rather, Would You Prefer Turkey Vulture Schnitzel, Dog Brain Soup, Goat Lung, Mixed Cow & Horse Stew, Grilled Snake, or Scorpion on a Stick?" While the thought of dog food with dog in it is a bit (euphemism for extremely) disturbing, this is a great slide show of what you could be fortunate enough to enjoy if you visit Beijing, China. For those of you who have tasted and enjoy dog, and I'm talking to YOU, Anthony Bourdain, sorry if I offend. Grilled Corn with Ginger Sauce...Oh the Humanity!!!! I'm so glad I live in Ohio, and also glad I have no aspirations of traveling anywhere near a place that would think of serving Dog Liver with Vegetables. Taco Bell mystery meat is the biggest risk I'm willing to take!!! tiffany k. - You crack me up. Ya know, my coworker went through the slides and then said he'd be more likely to eat dog than scorpion. I thought to myself, first of all, in what world is he living that he has to make that choice, and second, I can't believe the choice he'd make! You know, I think that I have pretty strange taste, and I eat some odd things... THIS stuff makes me look like I have the diet of a VEGAN!!! I try to keep the number of "angles" in my diet low... Sure, a hot dog probably has nightmarish ingredients all through it, but hey, it's such a simple shape, you forget all about it! !